I have been asked the question many times; What are you looking for in testing for the higher ranks? The question comes from those who have already earned a first or second degree black belt and they want to know what they need to work on in order to reach the next level. Fair enough. So I will answer. When you are at one level it is difficult to imagine the next level. I have even had yellow belts who felt so accomplished they could not imagine that there was more to learn or room to improve. There is always more to learn and there is always room to improve. I would divide my answer into three parts. A black belt student should know all the techniques that I am teaching. He/she should know all the techniques on the IKI DVDs. He should know and practice all the techniques on the video clips that I send out. If I show up at a seminar and refer to a technique and he does not know what I am talking about...well, sorry, no test this time. Yes, it is a LOT to expect. But if you want a black belt, or a second dan black belt, you must work hard for it. As my teacher used to say, "Show me that you are hungry". If this is just a hobby for you, something you do on the side, like bowling or ping pong, forget it. 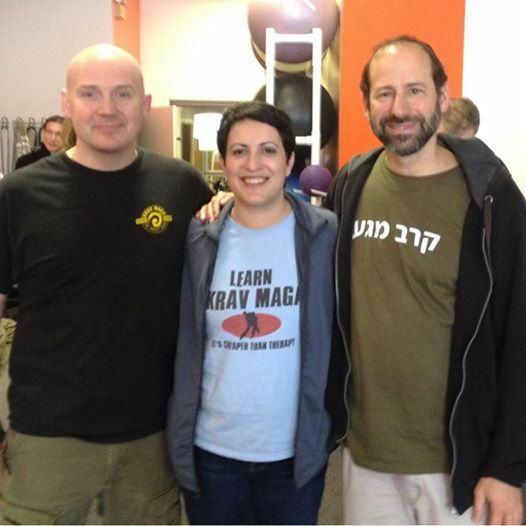 IKI Krav Maga is not the place for you. Please do not expect a black belt for your hobby. Next you go through the video clips that I have sent out in the past year on this topic. You show the new applications, the new developments. You are totally familiar and proficient in the clips that I sent out. All this should be easy, comfortable and fluent for you. You need not be reminded by me. Yes, this is a lot to ask for. But if you want a high rank, this is the level you should be at. Do not wait for me to tell you what to do. The Chinese have a term Wu Wei, which means "Effortless Effort". When I look back at where I was 5 years ago and where I am today I would say the difference is that today I am more "Chinese" with my Krav Maga. Everything flows easier, there is less active effort, less "pushing", less energy involved. Krav Maga never loses the aggressiveness when it comes to real life situations but at the advanced levels everything flows more naturally. When I look at a student I can see when the techniques are "forced" and when they flow naturally. You can't fake this. "Forced" techniques are a much lower level than relaxed techniques. At the higher levels I am looking to see a practitioner who flows naturally, whose movements resemble a wave more then a hammer. The highest level is being able to apply the principles of IKI Krav Maga to new situations as they arise. Not everyone can do this. What I do expect is that when I show you a new application you have this look of, "Yes, of course, I can see that" and then you proceed immediately to do the technique as well as I do. If not, you still need time. Please be patient. If you are interesting in testing for a high level the best idea is to send in some clips ahead of time. Our staff here in Israel will take a look and offer helpful pointers, let you know if you are ready or what you need to work on. This can save a great deal of aggravation and frustration. So please send in your clips. Craig Gray, our highest ranked student/instructor, with Gladys, one of his outstanding students.